Apple’s latest redesign of the MacBook is open to criticism, but you have to admit it features the best in class built quality. Moreover, while the Touch Bar might not be for everyone, there are still certain benefits that might attract your interest. If you’re a Windows user, you might have come across a touchscreen display on a laptop. Apple, on the other hand, is not open to the idea of having a touchscreen display on a Mac. However, if you want to add the functionality, we will be sharing a $1 hack which will give your MacBook a new way of interaction. 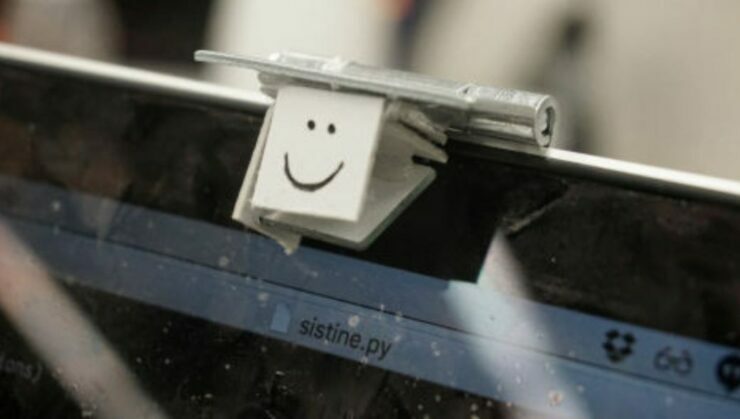 The $1 clever hack called Project Sistine does not require you to swap the display of your MacBook with a new one. Moreover, you do not need any kind of electronic hardware to get the functionality. All you need is a door hinge and you’re good to go. We will let you know how you can upgrade your MacBook with the touchscreen like input method. If you have the door hinge in possession, all you need to do is mount it at a specific angle which will allow the webcam to see the reflected image of the screen below. Lastly, you will need a customized version of the Kevin Kwok’s ShinyTouch app. When the screen of your MacBook is viewed from an off angle, you will see how it reflects the light. This allows algorithms to determine when your finger touches the display or even if it is just hovering over it. The careful calibration and various image processing teaks allowed the software to track the position where your finger is redirected to on the display. The patterns can then be translated into an input method. It allowed for pan and swipe, tap on buttons and even scribble letters. So it is a pretty nifty addition if you’re up for it. Nonetheless, it is just a hack and if proper attention is paid to it, the process can be turned into something cool for the general public. There will be more to the story, so be sure to stay tuned in for more details. As for now, what are your thoughts on the $1 hack to have a touchscreen MacBook? Share your views in the comments.